Not easily offended, so no worries. I married a Manc girl 27 years ago and moved her to the Deep South. I understood from the start about rivalries, so hating the Scum came naturally. My father-in-law helped me to become the True Blue, CTID nutter I am today. I reckon you'll fit in just fine, do you get over much assuming there is still family in Manc? Unfortunarely we didn't. I love Cheesy! Yep, plenty still there, Ashton and Denton. I catch as many matches as I can squeeze in, usually only 2 or 3 unfortunately. Great to see you here Bama Engineer!! With BD from VMC and me, that’s three of us, although BD has been here for a good while, he’s foreverinbluedreams on here. Rising wrote: Great to see you here Bama Engineer!! With BD from VMC and me, that’s three of us, although BD has been here for a good while, he’s foreverinbluedreams on here. Great to be here, champ! I'm glad BD is here, maybe Buzzer and Skoorb can make it as well. Spurs fans get everywhere pal , watch out for one or two on here ! ooooo a new clique. How exciting! We haven't had one of those for a while. Welcome Bama, good to see you posting pal. Although I support a team at the other end of the country I have supported City as my second team since I heard the tale of Bert Trautmann. Always look for results immediately and am pleased about the success for pat few years. ontheroad wrote: Although I support a team at the other end of the country I have supported City as my second team since I heard the tale of Bert Trautmann. I was in the Kippax in the early 80,s...was there when that fuckign pedo started bouncing across our pitch when we were relegated. He was on my hate list for years......he still is. Hi guys! I have never written on this forum, but it's nice to discuss my favorite team. This site has a thematic discussion. SteveFalcon wrote: Hi guys! I have never written on this forum, but it's nice to discuss my favorite team. This site has a thematic discussion. 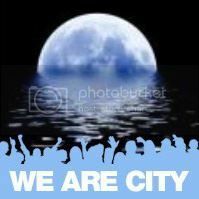 Just thought I'd pop in and say hello - look forward to chatting all things City with you. Lets hope we're celebrating another league title come May. Win tomorrow and ask questions of Liverpool, we can still do this! Welcome SF, any other themes that interest you at all?